Received momento at Marwah Studios, Film City Noida, for inaugural ceremony of 12th International festival of cellphone cinema, 12 Jan 2019. Received award for Beti Bachao Beti Padhao Andolan under the aegis of late Prime Minister Shri Atal Bihari Vajpayee’s birthday, 25 Dec 2018. 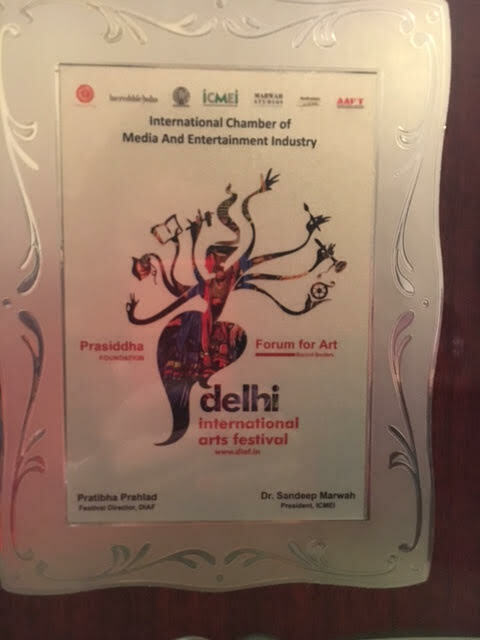 Received momento at Marwah Studios, Film City Noida, for inaugural ceremony of Delhi International Arts Festival, 06 Dec 2018. 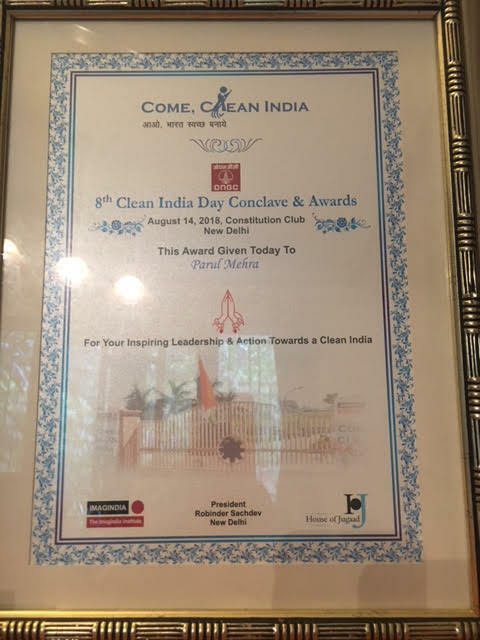 Received award, by Imagindia for initiating & propagating Clean India movement, through Art, 14 Aug 2018, New Delhi.